Right from when No 1 Son was small, we’ve taken him on holidays around the world. One set of grandparents live in New Zealand and often the only flights we could get were in term-time. 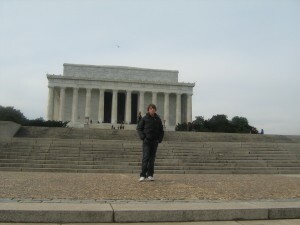 We’ve also taken him on educational trips to places like Italy and Greece and France and the US. Has it harmed his education in any way? Of course not. 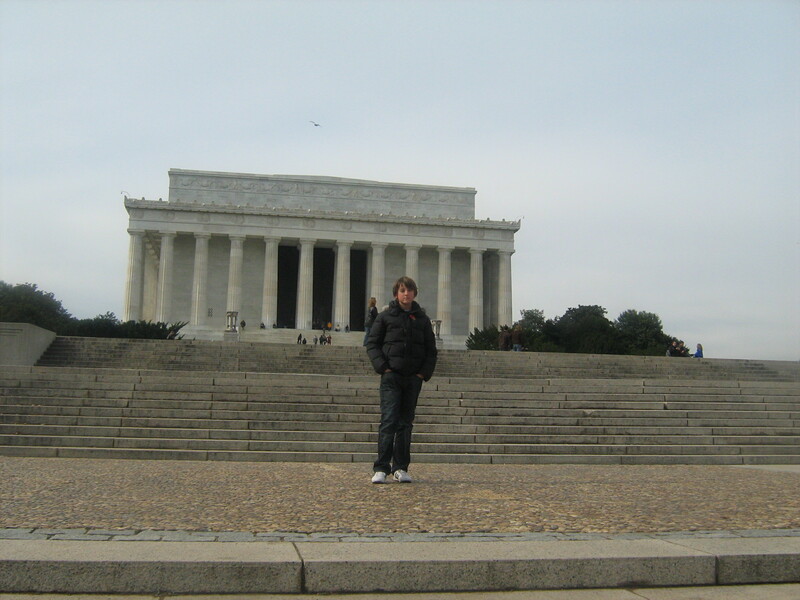 His experiences of seeing places like Rome and Athens and Washington DC have enhanced his learning capacity, added another dimension to the topics he was learning at school and fuelled his interest in learning (being able to translate Latin on ancient monuments was a definite boost to his confidence). His experiences of different cultures in places like New Zealand and Australia and the Caribbean have made him into a well-rounded individual. He is a straight A student and he’s exceptional at history and literature with a good ear for languages. Of course you could argue that he would have turned out like that anyway; but I know that travel didn’t just broaden my son’s mind, it expanded it. You can read about historical landmarks in a book or online, but nothing compares to seeing them for yourself; ditto language and culture. Sitting in a stuffy classroom? Not the same thing at all. Most of our holidays were taken during term-time because there was a valid reason for doing so. But of course price was a driving factor for some of our term-time holidays. Because the simple fact is that travel companies, airlines and hotels do hike prices during school holidays. They’ll argue that this is because of increased demand; it’s an argument I’ve never really understood. As it stands, for many families, term-time holidays are the only affordable opportunity to spend quality time together – which is as vital for any child’s development as education. And if term-time holidays are really so wrong, then why do so many school trips take place in term-time? Michael Gove’s proposal to ban term-time holidays for schoolchildren is woefully misguided and simply highlights how out of step he is. Mr Gove, it’s a no-brainer. Travel does wonders for kids’ education. Homework can be caught up on, but childhood – and that sponge-like capacity for learning – is far too fleeting an opportunity. Wow this has got me riled up! I agree with your post but have to say that I don’t think my argument would be the educational benefits of travel although those are clear. For me, it’s about choice. Education is necessary and wonderful but ultimately a child’s wellbeing (emotional, intellectual, physical) lies with the parents. It is wrong to take away a parents choice to take their child out of school in term time if they deem it worthwhile. It’s not for any of us or Mr Gove to judge whether a week on a beach in Spain or a month on the other side of the world or a long weekend in a caravan in Wales is worth missing school for. I realise there are some parents who will make poor choices but am sure they are the minority and don’t think that the majority should be punished as a result. And on the Australia / New Zealand front, if there was one thing I learned from travelling both countries it was how different their cultures actually are from ours and how wrong the misconception of ‘england but warmer’ actually is. My son is half kiwi and I fully intend he grows up knowing all about that side of his heritage. If that means taking him out if school in term time then so be it. I agree with you, I think wellbeing is paramount. I find it interesting though that the post was about travel expanding children’s minds. I agree. However, I think in the discussion afterwards it seems to be the reasons for taking a child out during term time isn’t for educational reasons but for money and difficulty getting time off work. It has been accepted several times that there are valuable, cheaper alternatives which could be achieved during school holiday periods. My parents once took me out of school during term time when I was 15 for the last two days of term. This was to go on a trip to France on my own to visit my (privately arranged) French pen friend. I had to ask for permission and in that instance they granted it but I was the only child I ever knew to be granted to leave school during term time. I think taking kids out of school in term time is becoming more common which is why the government is looking to crack down on it. Ok, for all of the people who are for this, what limits would you place if any? Which of these holidays is more valuable? Which should be allowed? Some? All? None? I’m really not sure it’s a class issue tbh. And as I said in my post, I believe that quality time together as a family is vital wherever they’re going. I think the Government is number crunching, which is why they’re trying to control this. But of course it is only the state sector where they’ll be able to control it. Private schools – no chance. We live in UK, I am French and my wife is Japanese. We go to visit my family in France during term time but going to Japan is expensive. It also take a long time to get there. So when we go to Japan we tend to stay for quite a while. My son missed 10 days of school at the beginning of 2012 as we went to Japan and stopped over in Hong Kong where I had some business to attend to. In Japan, he spoke Japanese to his grand parents and cousins. When we got back he was a lot more confident with the language and had learned a lot of new vocabulary ( not all approved by his mum…) But he learned a lot. In Hong Kong, they toured and we met in the evening for dinner. He came back with new ideas on the world and a thirst for knowledge about Chinese culture. Yes he did miss school but I think that the experience was invaluable. Many school have school trips to show kids what life is like in other countries. Isn’t it better to do it as a family? Can I just say I agree with all of the above! Working in a school I see both sides. It’s a shame for some children to return mid project and struggle to pick up what they miss. The curriculum is really fast paced these days. But the show n tells they bring back are proof of the benefits of going away with their family, wherever they go. 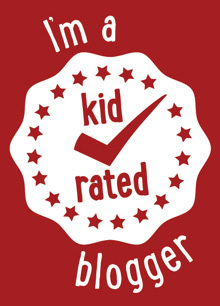 My poor children have had far less holidays due to the fact I cannot afford the school holiday rates. I think you’re completely right about the show ‘n’ tell aspect. I do think as well that all travel – not just foreign travel – expands a child’s mind. We’re very lucky that because of my job we’ve been able to do so much travelling abroad, but there’s lots to be said for UK travel as well. I agree with all you are saying. I think the key here is WHEN in term times the holidays are taken and how often. Children benefit hugely from seeing other cultures. And it’s a sad fact that travel companies costs mean that if people don’t take their kids out in term time, many simply wouldn’t enjoy that experience. Mr Gove’s proposal is woefully simplistic, perhaps born out of a need not to create more administrative burden for schools if they were required to monitor the frequency and timing of family holiday in school as standard. We will be taking our two out of school for the first time just before summer term breakup. The last weeks before a term ends are not of huge educational benefit as another commenter points out. So for the massive educational and family pluses the holiday would bring – where is the harm? I think that’s the problem, inevitably, with the One Size Fits All approach; schools, and pupils’ needs, are different. I wouldn’t wish to add an extra burdern to any school’s staff so parents do need to be responsible for ensuring that all their children are catching up on anything they may have missed. And if the holiday is taken before school breaks up anyway, it’s unlikely they’ll miss very much. I find it so annoying that the government should tell me what to do. My mum took us away on school term, like you are doing with your kids, we learned interesting things, saw amazing places and she made sure we worked hard to catch up once back, but it was so worth it! yes, we did miss school for a ski trip, but so what? I remember those trips 30 years later whilst I don’t remember any of my school days all that well. I plan on taking my kid on holiday during term time too, just like my mum did with me, and I really hope nothing or nobody will stand on my way. I surely know what’s best for my child after all, right? I think you’re exactly right, the travel companies will definitely benefit from further restrictions on term-time holidays. I agree with you totally. Holidays are so important for children and families. I think it would be incredibly sad if children could not experience holidays because their parents couldn’t afford the peak prices. In my view even a week on a beach or by a pool can be worth so much more than a week at school. All that will happen if there is a blanket ban is prices will shoot up even further in holiday time and everywhere will be so busy no one will have a good time. It makes me so cross that anyone has the right to tell parents what is best for their child. I am taking my son out for 6 days in June, they will most likely be the only 6 days he misses all year. I don’t see that should be an issue. I totally agree with you, two or three days before school closes are unlikely to make any difference at all. I don’t get to go ‘home’ (South Africa) more than once every 2 years. I have an 11 and 4 year old who’s school results have been fantastic thus far. This is the same 11 yo, who used to come home and tell me about the last week of school ‘activities’..in the past, these have included watching tv, games and supply teacher after supply teacher…. Decision made for me there! Now, I have never taken them out of school more than 2 or 3 days either side, I agree the half term prices are just ridiculous and just this Xmas, our airfare is going to be over £5K for a 2 week holiday to SA and my daughter will pay full fare from 12 years! I like to feel that I am not losing out by the journey time it takes to get to these places and I can assure you, if my children were in ANY way, NOT performing according to the school standards, there would be no way that I would take them out and disrupt their routine. However, I feel the 2 or 3 days before school closes, will not be detrimental to their education and likes most here, you see what your child learns elsewhere….mine learn about poverty, it’s right in your face when you get to SA and when we get back to the UK, I sound like my mother, ‘that meal you don’t want to finish, there are starving kids digging in bins who would love to have what you are having right now’……. I would not personally take my own children out of education for a holiday, because they already get ample holidays we can utilise for family time. If for financial reasons or work reasons we were unable to have holidays during these periods, then I most certainly would because time out as a family and what they can learn from other cultures is invaluable too, its getting the right balance. For a cheap holiday, when you have an option, i’d say no. Term time holidays should be banned. If you can’t afford to go in school holidays, don’t go! Education is the most important thing you can do for your children. It is no coincidence that the kids who are regularly taken out in term time are often struggling to keep up in school. There are a couple of such children in my daughter’s year at school and it seems a shame that their parents don’t seem to see it. There are a few exceptional cases for educational trips but if you are just trying to save money then no way. If they are struggling to keep up in school then clearly there is an issue there which you would hope the school would address. From my perspective, though, travelling has enhanced my son’s education, I’m absolutely sure of that. Great post! Totally agree, as a Aussie girl it’s very important to me that my kids get to know their family on the other side of the world and experience my country of origin. My daughter is starting school in August but I will have no qualms in taking her out of school for a visit to Oz. Especially if it means a more reasonable airfare, a trip to Australia for a family of four doesn’t come cheap! And I know these travel experiences will only enhance my children’s education not damage it. I think the farmer’s perspective is a really interesting one; I’m sure there must be other jobs also affected by seasonality also. I think occasional time off during non-crucial years (especially if a child’s rarely off due to sickness) is fine. Personally I didn’t agree with it before having children (we never went abroad when we were kids so only ever had UK holidays in school holidays), and would still in theory agree with holiday time only…an expensive holiday abroad isn’t necessary for kids. But I think an educational trip wherever it is (not a cheapo package holiday where they’ll not set foot outside a resort) can be immensely valuable to family time and the children’s education. However, I’m married to a farmer: harvest can only happen during summer months so that means a family holiday would never happen unless you could get some time off school during term time. So to criminalise responsible parents who want to do the best for their children and manage to get time off work at some point with their family is unfair and more damaging to family life. I’m afraid I tend to agree on the no term-time holidays to an extent- not a complete ban though as I would like to think most parents would use their common sense as to whether it is beneficial or not. I agree quality time is extremely important for families but with at least 6 weeks in Summer and 4 weeks at Easter & Christmas – isn’t this more than enough time for holidays? It must be very hard on the ‘good’ teachers if pupils are missing lessons. I think it’s fabulous that your children are experiencing these far-flung places (& it’s brilliant education-wise)- sadly our funds don’t stretch quite as far but I also agree that it’s disgraceful that holiday companies hike up the prices for even just a week in the UK during the holidays. Maybe if the prices were more affordable during holidays, kids could stay in school. When I was 6 my parents took me travelling for a year to France, Spain and north Africa. I had ‘lessons’ on the beaches, met locals and picked up their language and kept a diary of my adventures. I came back waaaay ahead of the other kids at school. We took my son out of school for two weeks at the start of Year 3 to go to America. Not a cultural holiday at all. We went to the beach and Disneyland and spent 3 weeks together as a family having the most wonderful bonding time. I asked the school if we should do anything to keep him up with the work and they just said to keep a diary every day and share it with everyone when he came back. We did it because just going that last week of the school holidays halved the priced. Halved it. There is no way we could have done it otherwise. For me it was the physical act of travelling, handling a passport, being confident away from home and your comfort zone, handling different currencies – all of these things to towards making our kids ‘international’ and give them something over and above just good grades, which let’s face it, aren’t enough these days with everyone and the school cat getting A stars! At our school, no one takes their kids out of school lightly. They think about timings etc. It’s not ideal, but like I’ve heard said before, the problem is the travel industry hiking up prices to untenable levels. No 1 Son had to keep a diary on one of our trips, too – I look back at that diary now and it brings tears to my eyes, there are so many incredible experiences in there. I agree with you to a point. Travel.us of course wonderful and definitely broaden a child’s mind. It’s wonderful if you can do it. However so many parents take their children out without thinking of the child’s needs. I’m always shocked by how many parents take their children on holiday in September. It’s so hard for them to make friends when the class has alteady been together. Also they take lots of long weekends. It’s hard when children always miss Monday as that is the day you set all the toils for the week. Obviously if its once or twice there won’t be a lasting effect but when its more often the child really struggles. I don’t think there should be a blanket ban but headteachers have to be able to question the parents especially if the child has lots of time off. We’ve never taken our son away in September, or at the start of any term, for that reason. But I do know parents who have taken their child out of primary school for a whole year to go travelling without any detrimental effect on their child’s education whatsoever. I guess it comes down to whether you believe that education is something that has to take place in a classroom – or whether it can happen everywhere. Education is of fundamental importance to my family and it’s something we’ve instilled in our son. We have of course travelled to Berlin and Austria and he and his father have been to Poland. So I’m confident we’re covering all bases on the educational front. However, the Maori culture is incredibly important to us because of my son’s heritage. And I would say both New Zealand and Australia have a lot to offer in terms of unforgettable natural history. You know, I’ve really surprised myself by agreeing with every word of your post. I’ve always been a bit sniffy about parents taking kids out of school to go on holidays but you’re absolutely right – learning about other countries and cultures is important. And even those parents who sit on a beach for 2 weeks are giving quality family time to their kids. I respect your opinion and I understand the frustration but I have to say I don’t agree. There are loads of places you can get to cheaply within school holidays which would be broadening to a young mind. One of the most interesting places I’ve ever been to was the Czech Republic (not just Prague). A fantastic and interesting history out there in front of you from the second world war, from the Communist era (including the attempted revolution in 1968) and eventual fall of Communism. Some fantastic art to see, particularly architecture and the Mucha museum. Trains to travel round the country are cheap and efficient, hotels are cheap outside of Prague and cheap if you know where to go inside Prague. All on our doorstep, all very cheap to get to. Having been to Australia, I would say any one of my trips to Eastern Europe have been more of an experience and more educational for me or for a child. I appreciate the argument because I have travelled widely and I think it has been important, however, the majority of parents taking their children out of school in term time are to visit holiday resorts. I appreciate you are not one of them but I would also argue there are alternatives to what you did too. Are there really no flights to NZ outside of school term? 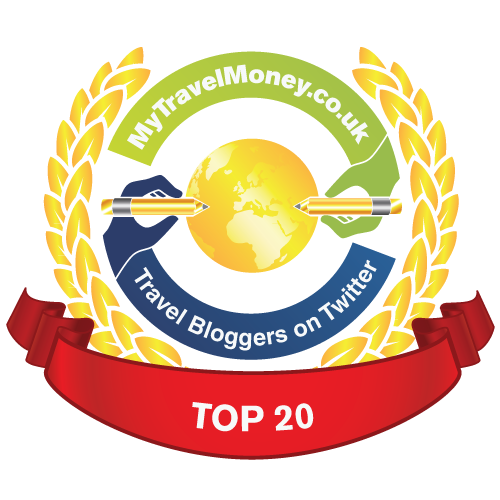 I just had a look on traveljungle and flights were around £1200 for an adult during August. In June they were around £830 so the flights are there, they’re just more expensive right? I agree also that Eastern Europe is a wonderful destination for kids, and can be done quite cheaply. But my main point is that taking kids out of school to go on holiday doesn’t have to have a negative effect on their studies. My point about Australia, as with the Caribbean and NZ, is that it is the opportunity to experience a different culture and I think that’s incredibly valuable. If your child’s heritage is from a different part of the world then I think it’s very important to experience it. Yep I agree but part of my point was there are more different cultures on our doorstep in the UK. Perhaps it’s just my values. I am extremely committed to education and I will be with my son (not saying you’re not, I’m just very extreme). It just feels like a wrong message and I’d rather work within the restrictions. To me Aus / NZ although interesting are sadly very ‘British’ (Australia particularly) due to their history. There are other parts to their history, I’m aware of this but going somewhere where you need to use a different language might be more educational. Also I think the fall out of the end of the iron curtain is vital for the next generation to learn about. I wasn’t suggesting flying to NZ in June btw, just demonstrating the flights are available in the summer holidays as well as outside them, just there was a cost difference! I agree Liz. Of course, if parents are trying to take kids out at key times during their education for a prolonged period, the school needs to step in and say no. But we don’t need a blanket prohibition. Also, is this *really* the most pressing issue we have with education these days? Surely it’s more important to be able to get rid of bad teachers, motivate the good ones, ensure schools have the facilities and resources they need for regular teaching and more complicated teaching (special needs, in highly deprived areas, etc). I can’t believe the gov’t would waste time and energy on this when schools are in such crisis in other ways. This is what I find so incredibly frustrating. There are so many ways that travel can enhance a child’s learning experience and there are so many more pressing issues – particularly to do with resourcing. I agree also, we took our daughter to London for the first time a couple of weekends ago and the head would not grant us permission! Well I am sorry she is our daughter and we do not get the same opportunities or holidays that teachers get and had to work all Xmas. Surely family time is equally as important. I think one or two days either side of a weekend should be fair enough, as long as it’s not every week! I completely agree. I think Gove, together with many other members of this government are so out of touch the country would be better run by a bunch of monkeys. I take Amy out of school for 2-3 days every October so we can go to Scotland but that’s because of running the farm. The expense of holidays during school holiday time is an absolute scandal. It means far too many children are missing out on not only spending quality time with their families, but also on visiting places, seeing different cultures. Another stupid idea made up without thinking it through for the benefit of the ones it will affect most, our children. If parents decide to take these opportunities during term-time (when, as you say, they are half the price) they should not be discouraged or banned. Quite the opposite. My children are only in the first few years of Primary but in the next year or so we intend to take them out completely and spend a year or so sailing the world. We will be their teachers and although we will try to follow a curriculum of some sort we will be teaching and showing them so many more things than they could ever possibly experience in a classroom environment. I have so much respect for you doing that, and I really wish we could have done something similar (although maybe not sailing). I’d love to hear how you get on. Thanks. No doubt I’ll blog about it when we set off. I’m with you CJ; not all parents can take holiday time to fit in with school holidays. It’s particularly difficult when you work in an office with other parents, too – there can be a lot of wrangling for time off! I agree with you (I have found memories of family holidays in France which included being taken out of school either side of the May half term) but I think there is a big difference between the experience you gave your son / I received on these trips which involved visiting museums, seeing the cultures / speaking the languages, writing a holiday diary etc and a spending two weeks by the side of a pool in a tourist resort holiday… unfortunately it is easier to ban all parents than have to analyse their holiday plans for educational opportunities. But as I say in the post, I think quality family time is also fundamentally important to a child’s emotional development and well-being. Of course it’s not vital for a family to have a holiday in the sun – but if it’s what they need and homework can be caught up on then I’m not sure I’d criticise them for taking it.